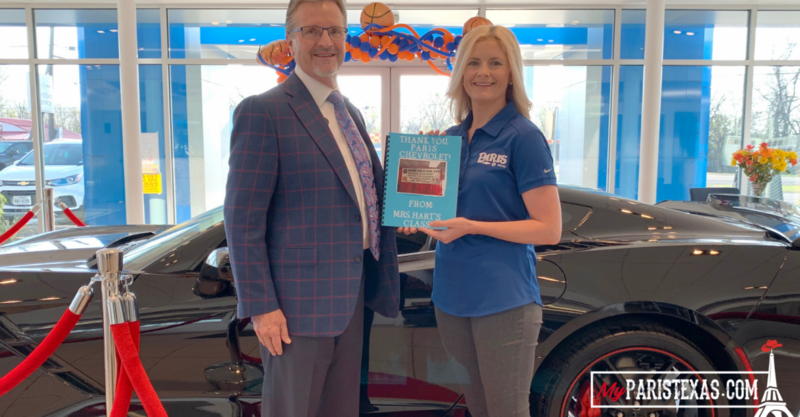 Paris Chevrolet owner Jeff Jones and manager Kelli McDonald hold a book of thank you letters given to them by Marla Hart’s third-grade class at Everett Elementary. Paris Chevrolet sponsored Kiwanis Pancake Day tickets for each one of the students and their teacher. The event is one of the community highlights favored by students in Lamar County.